The first month of 2016 is pretty much in the books and what a busy month it’s been! 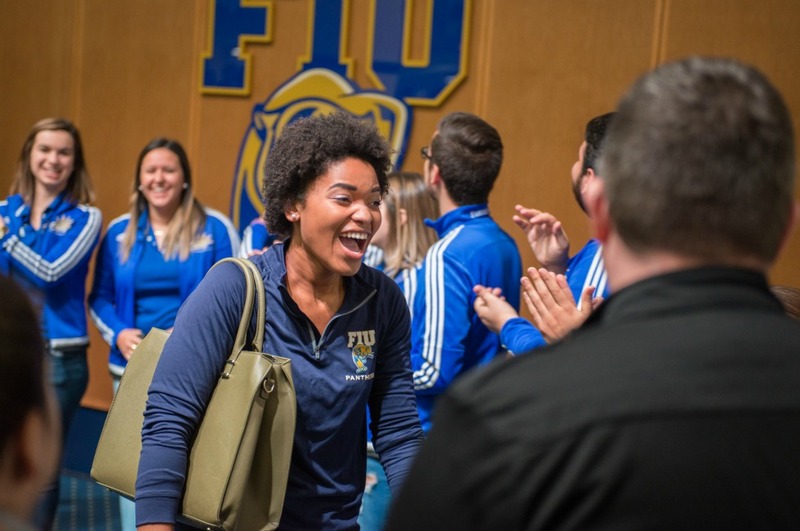 Check out some of our favorite moments and images from January, captured by FIU photographers Ben Guzman, Carl Frederick-Francois, Doug Garland and Eduardo Merille. Who needs a hoverboard? 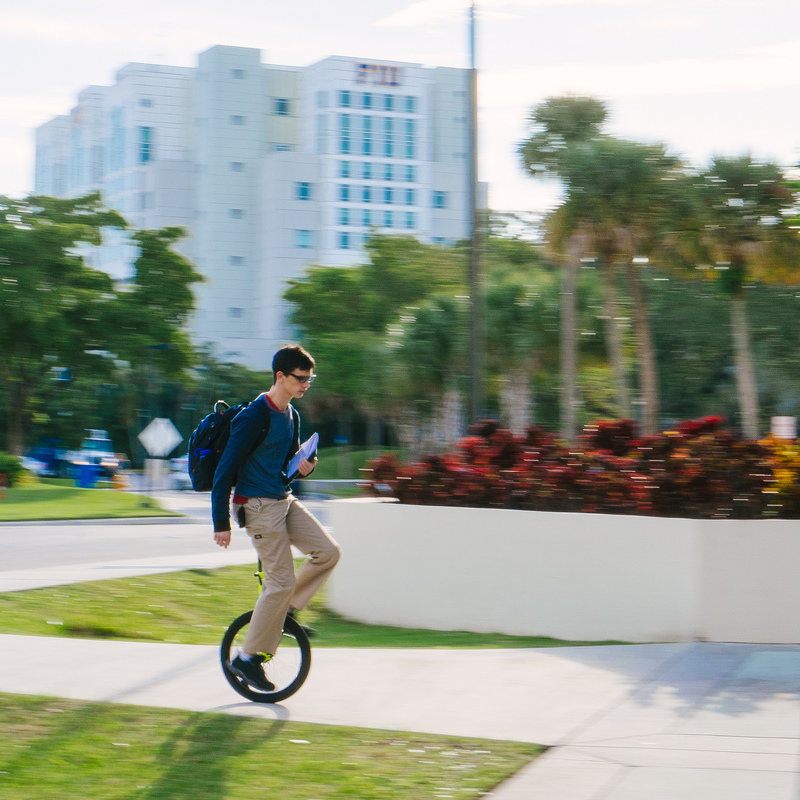 Michael Ramon, a Biomedical Engineering major, rides a unicyle to get around campus. 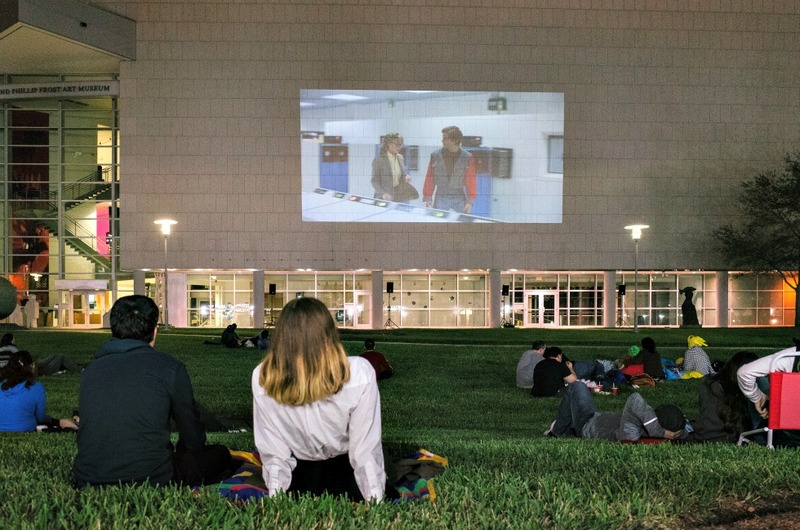 In the lead up to the debut of their latest exhibition, The Art of Video Games, the Frost Art Museum held a screening on Jan. 21 of the 1982 classic sci-fi film Tron as part of their “Movies on the Lawn” series. Those in attendance brought blankets, chairs and snacks to the free screening and were invited to take a sneak peek of The Art of Video Games exhibit. 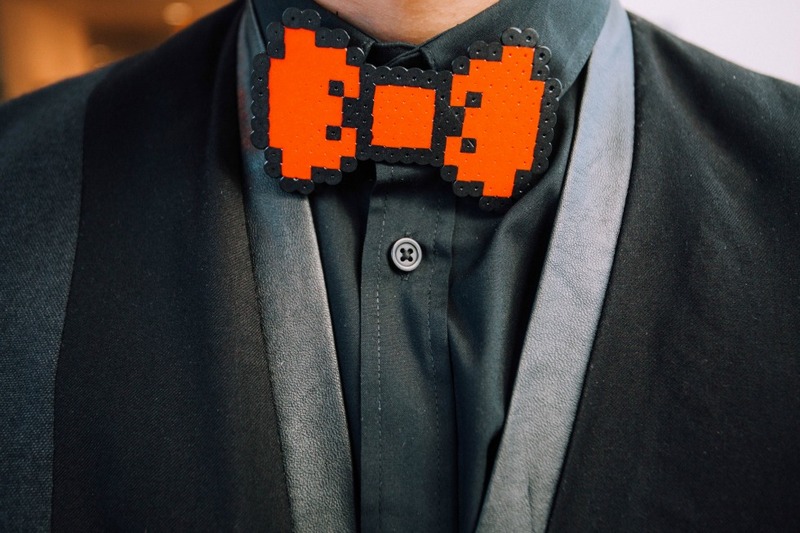 At the debut of The Art of Video Games exhibit on Jan. 23, Social Media Specialist JeanCarlos Fernandez sported a video-game inspired bow tie for the occasion. On Jan. 22, the FIU Master Chef meets Brew Miami event was held at Modesto A. Maidique Campus. 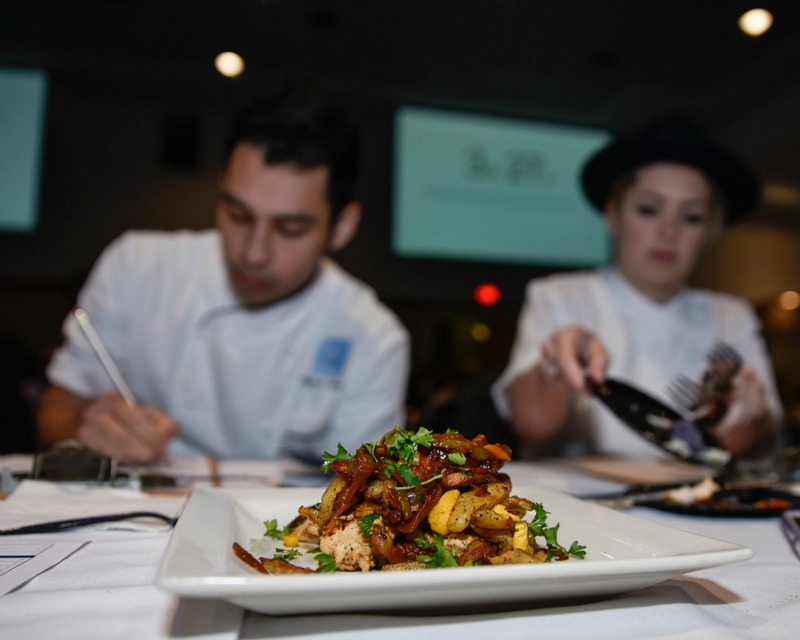 In the Graham Center Ballrooms, a group of 20 foodies (including students, faculty, staff and alumni) showcased their cooking talents and techniques in an attempt to win the FIU Master Chef competition. In order to win, they had to impress a panel of guest judges, includingBenjamin Murray (left), chef at Azul at the Mandarin Oriental, and Eileen Andrade (right), owner and chef at FINKA Table & Tap. 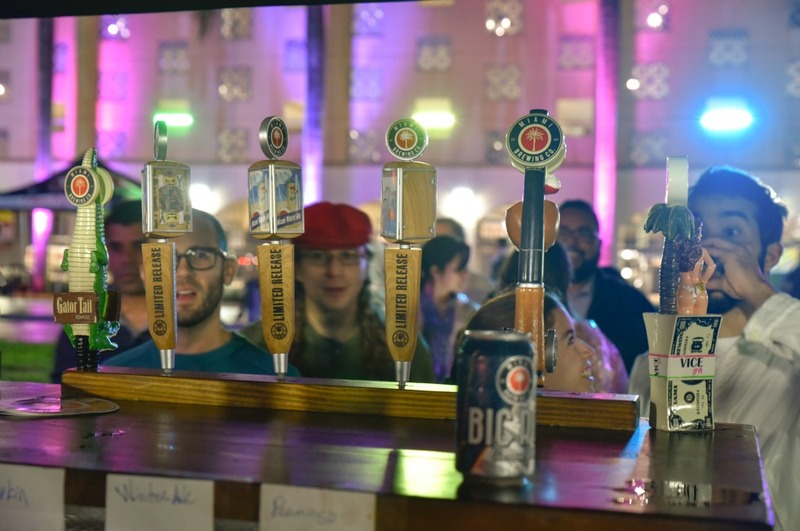 Brew Miami began shortly after the competition, with local and international breweries offering unlimited beer samples of homebrews and craft beers to spectators and participants between the Blue and Gold garages. Purple is all the rage for these two fashion twins walking toward Academic Health Center 5. Aujunae Watson is all smiles after she was selected to be part of the Panther Camp Facilitator Team. To get the story, FIU News intern Gisela Valencia took a tour of London circa 1598. 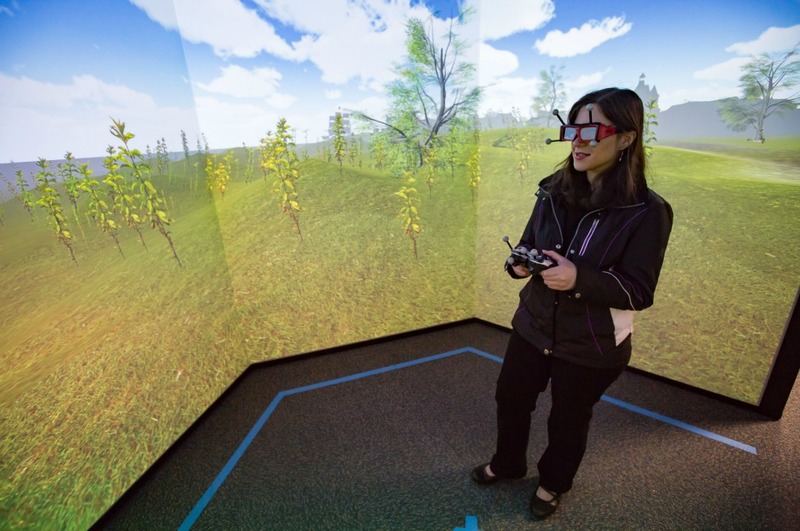 The virtual world was created by a multidisciplinary team of FIU students at the I-CAVE, short for Integrated Computer Augmented Virtual Environment. The new facility is composed of five 9-by-5 foot, high-resolution screens arranged in a hexagonal pattern. You can immerse yourself in this time-travel journey starting Jan. 29 when the facility opens at Modesto A. Maidique Campus. 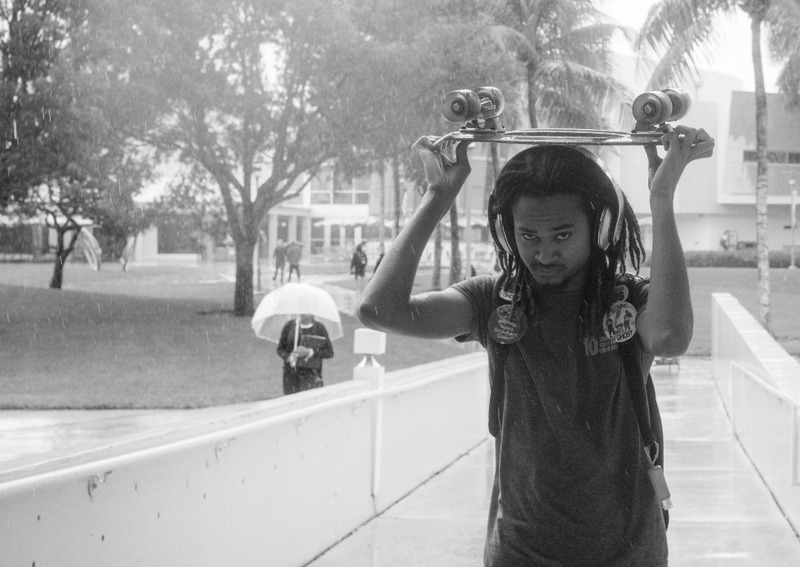 It was rainier than usual this January, and Panthers like Matthew Carswell ducked under anything they could to stay dry, including a skateboard. President Mark B. Rosenberg and Roary, having a great time at the Martin Luther King Parade, pose with Miami Broward Queen Shelia Boyd. 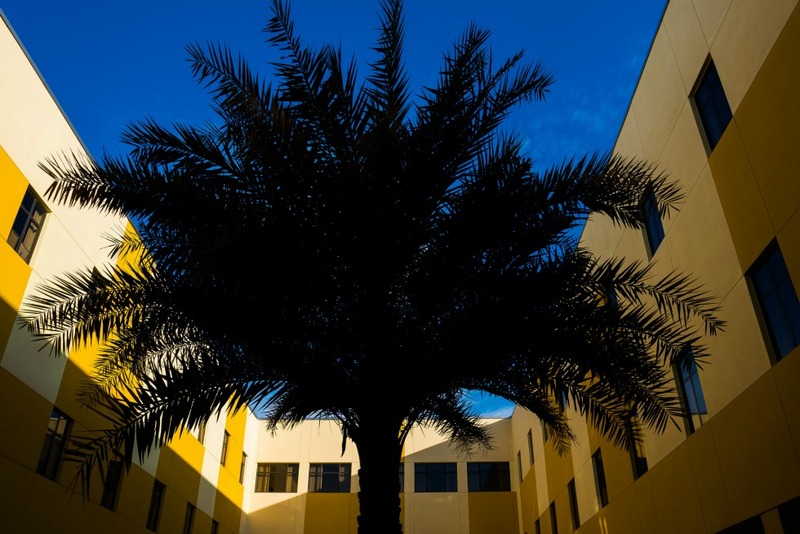 Late afternoon shadows inspired our photographer to see this palm tree in the courtyard of the Sanford and Dolores Ziff Education Building from a different perspective. 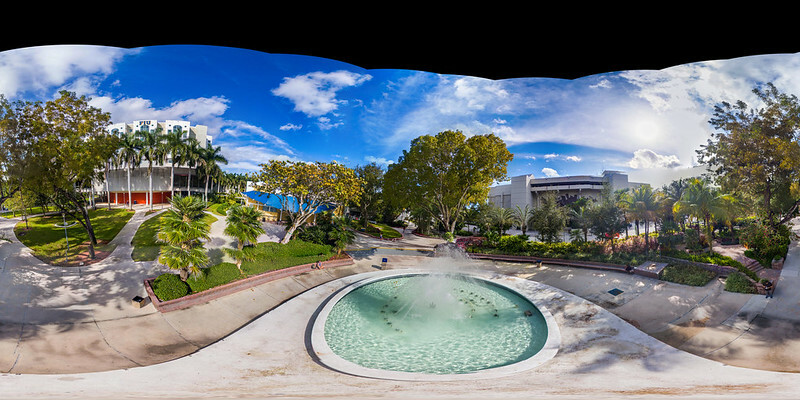 Using a drone, one of our photographers provides a unique 360-degree birds-eye view of the area around the fountain outside of the Graham Center and Primera Casa. 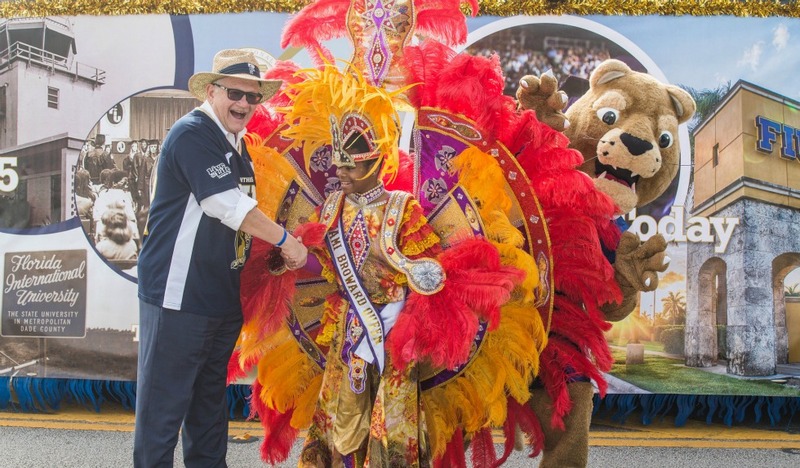 To view more of our favorite FIU images, visit our “Month in Photos” series page. Great summary and photos – team u rock!